Police have released a CCTV image as part of an appeal made following a fraud case in Milton Keynes. The release of the image relates to an incident that happened at around 4.50pm on Wednesday 24 October. 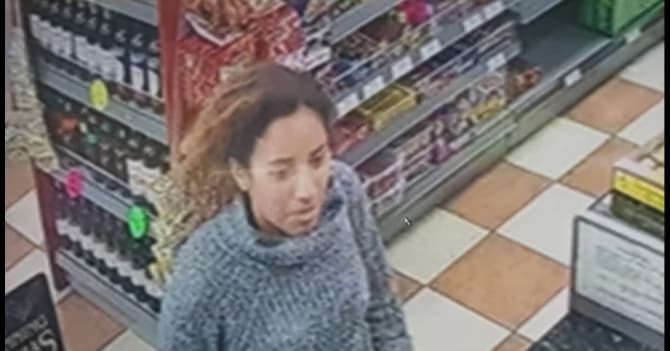 During the incident, a woman went into the Great Linford Convenience Store and signed for a parcel that did not belong to her. She left the store with the parcel, which contained a laptop. Investigating officer PC Lisa Bartram lead the appeal by saying the force were keen to speak to the individual in the image released. She said, “I am keen to speak with the woman in this CCTV image as I believe she may have information that would be vital to this investigation.